The Atlanta Fall Gift & Home Furnishings Market and The Atlanta Gourmet Market were held this past week-end, September 11-13, at the AmericasMart in downtown Atlanta. Of the more than 60 gourmet food products showcased, my very favorite toffee - Toffee To Go - was honored with the "Best Dessert" award for 2010. 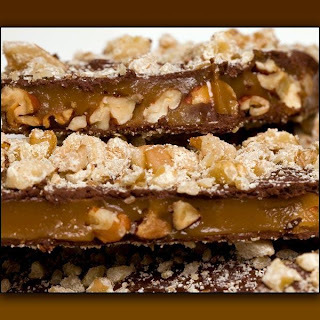 Judges particularly singled out Toffee To Go's Dark Chocolate Pecan combination. Be sure to check out their website for easy ordering and keep Toffee To Go in mind for office & holiday gift giving. 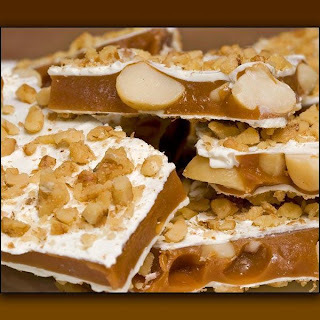 My favorite is their White Chocolate Macadamia, but if you can't decide be sure to order the sample box with all 3 toffee combinations - Dark Chocolate Pecan, White Chocolate Macadamia, and Milk Chocolate Almond.